By Cotton Delo . Published on July 28, 2014. You're on a wooden plank. Pivoting, you find yourself on the precipice of a deep pit. Taking unsteady steps, you cross with your arms outstretched for balance. You teeter to the end, exhaling in relief—and are told to about-face and plunge in. None of this is real, a clearly evident fact. Motion sensors are strapped to your ankles and $39,000 black goggles, made by a company called NVIS, whose customers include the U.S. Army and Navy, cover most of your face and sit heavily on your head. But still, you're terrified. So you cheat and close your eyes to jump. It's a bit like the leap marketers such as Coca-Cola, HBO and Nissan are taking into the nascent world of virtual reality. Well aware of the hurdles agencies, brands and the media must overcome first—not the least of which are the current cost of the technology and the cumbersomeness of the equipment—these first-movers are wagering on a marketing future where goggles can be bought at Walmart for $300 and brands can deliver visceral consumer experiences. Imagine Budweiser taking you behind the plate at the World Series or Pepsi giving you a virtual front-row seat at a Beyoncé concert. But since marketers still need to provide the hardware, their efforts are currently confined to experiential marketing at large events, like the South by Southwest interactive festival and the Detroit Auto Show. However, the pace of innovation is likely to accelerate as new uses emerge—if, of course, more eyeballs migrate to VR technologies. That may start to happen soon. Research firm MarketsandMarkets forecasts that manufacturers of VR and augmented-reality hardware—including smart glasses and head-mounted displays—will generate $1.06 billion in revenue globally by 2018. "Everyone who does something [in VR] now, for the next five years, is going to be inventing something," said Aaron Clinger, technical director at Venables Bell & Partners. "That's really exciting for those of us who have seen the mobile and web revolution." Virtual reality could be transformative for the ad industry. Instead of interrupting people with ads, marketers could sponsor virtual experiences people actually seek out. But first, the ad industry has to understand this new playground. "The mistake every new medium makes is trying to take what the old medium was. They read books on the radio at the beginning of radio; in the beginning of cinema, they shot plays. There's a completely new form of storytelling that has to evolve for this new [VR] canvas," said Chris Milk, a filmmaker and music-video director. Last year he shot a short film of a Beck performance for automaker Lincoln's rebranding campaign. 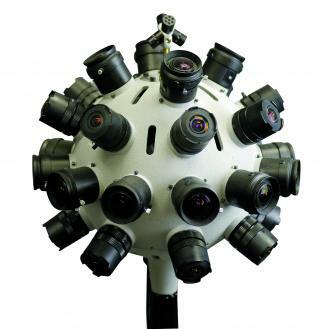 He also created a rendering of it in 360 degrees with six GoPro cameras. Consider Coca-Cola's approach. 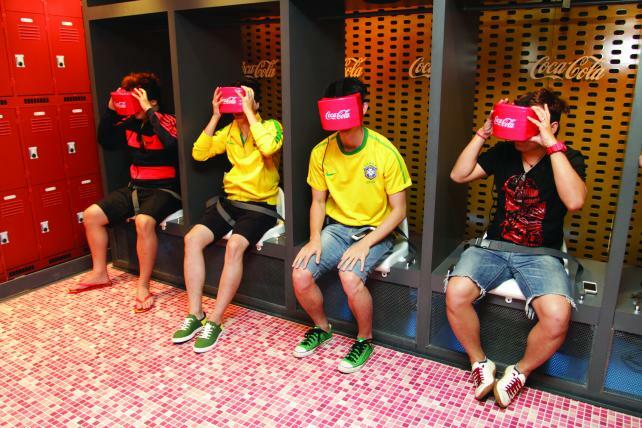 Last month it staged a VR experience at the World Cup, where participants entered a replica of the locker room at Brazil's Maracana Stadium; then, after putting on VR Oculus Rift goggles, they moved from the locker room to the pitch and played on the field, all without getting up from their seat. Matt Wolf, Coca-Cola's head of global gaming, said there's branding within the experience, but the more valuable aspect is that viewers are getting access to something that wouldn't otherwise be possible. "It's about the authenticity of being inside that stadium," he said. "Yes, thanks to Coke." Then there are business-to-business applications. Already one marketer, insurer Travelers, is using VR to train employees in worker safety by virtually showing the consequences of not following the rules. But on a broader scale, market forces are at work to bring VR to the masses. Oculus is probably the most recognizable brand name in VR, due to Facebook's deal in March to acquire the maker of the eponymous VR goggles for $2 billion. "Oculus has the potential to be the most-social platform ever," Mr. Zuckerberg said when announcing the deal in March. "Today social networks are about sharing moments, but tomorrow it will be about sharing experiences." Facebook isn't the only tech giant in the race. Sony is working toward a commercial release of its VR headset, "Project Morpheus," and Samsung is also reportedly developing VR goggles that connect to its phones and tablets. Assuming that VR headsets become less bulky and more available to consumers at an affordable price point in 2015, the zeal among advertisers to test the technology could grow intense. Currently, higher-end headsets used by academic researchers and institutional laboratories can go for as much as $50,000. But the Oculus Rift development kit—aimed at developers, not consumers—costs $350 for pre-order, and Oculus CEO Brendan Iribe told PC enthusiast site Ars Technica that Mr. Zuckerberg wants to sell the consumer version for the "lowest cost possible." "The ones that are currently on the market haven't hit that sweet spot between functionality and price yet, but Oculus is getting pretty close," said Sun Joo (Grace) Ahn, an assistant professor at the University of Georgia who researches VR. The most likely suspects to take the lead on developing VR experiences are brands like General Electric and Audi, which have cultivated reputations as early adopters of technology. However, the usefulness will be limited for other brands, said David Berkowitz, chief marketing officer of Publicis Groupe's MRY. JC Penney, for example, can successfully sell products online via jcpenney.com and Pinterest without setting up a virtual store, which, realistically, consumers may not want to spend their time browsing. There's an obvious application for movie studios and record labels, which are already in the business of creating content that people seek out, but for more pedestrian categories, it might be harder. "If you're a packaged-goods company, I don't think people are really going to want to wander the aisles of a virtual grocery store," said Aaron Richard, innovation strategist at San Francisco agency Heat. Before brands make big investments in creating experiences, a broad swath of consumers must adopt VR technology and its immersive, 360-degree world. That's a big if, but numerous startups, filmmakers and production companies are betting they will. Aiming to prove that VR isn't just for first-person-shooter gamers, Montreal-based filmmakers Félix Lajeunesse and Paul Raphael have created "Strangers—A Moment with Patrick Watson," an eight-minute piece showing a pianist in his apartment with his dog, playing music. After the glowing reception of that effort, the duo decided to dedicate themselves to VR work, developing a 360-degree camera system they may eventually seek to license out. They've had discussions with ad agencies interested in branded experiences, but Mr. Lajeunesse said they're more focused on the music industry right now. While it's bound to be gamers driving the adoption of VR headsets, a larger consumer market might not be far behind—especially as studios and developers churn out different types of content. And brands already honing their VR chops may have a first-mover advantage. "There's a learning curve, and it's different from anything else you've done before," said Dario Raciti, director at OMD's Zero Code. "Everything is like starting from zero and trying to figure out what is the best experience for the consumer, whether it's a game, live action, concerts or CGI." 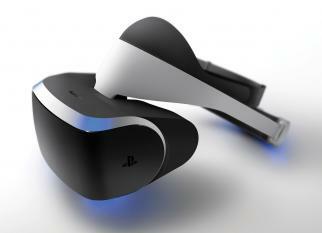 But from another point of view, VR could be another much-hyped flash in the pan. There are strong uses for this sophisticated tech in disciplines ranging from gaming and military training to education and behavioral therapy (for people suffering from PTSD or even arachnophobia). That doesn't mean there's a niche for marketing, however. He pointed to the buzz around Yelp's AR feature "Monocle," which lets its app users see nearby venues in the direction they're pointing their phones. It debuted with great fanfare in 2009—a Gizmodo post entitled "Augmented Reality Yelp Will Murder All Other iPhone Restaurant Apps, My Health" was in the mix of coverage—and then fell off people's radar. "You realized it was so much less effective than just looking at a two-dimensional map and seeing everything in one place," Mr. Berkowitz said. "It was a fun party trick for a week. Agency folks like me went and showed clients." For any new technology, the question is whether the utility will outlive the novelty. "You need a use case for it beyond the PR alone," he said. Entertainment marketers are a natural fit for VR, as HBO has learned. Its 90-second rendering of the 700-foot ice wall from "Game of Thrones"—which has sound effects to reproduce wind and actual shaking from the floor to enhance the experience for viewers as they ascend in a virtual elevator—is on a world tour. As of June, it had been seen by 83,000 people in cities including Oslo, Belfast and Austin, Texas. 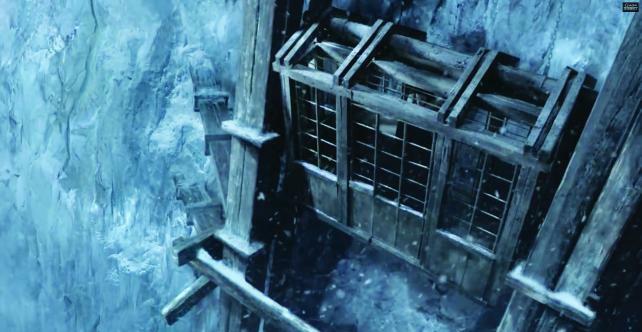 Visual-effects studio Framestore worked for three months on the project, rendering the 360-degree scene in CGI. Framestore's head of digital, Mike Woods, said the company has been flooded by requests for VR work since then, and they've accepted some projects under non-disclosure clauses, some of which are with marketers. Despite the newness of this type of work, the cost is relatively low, according to Mr. Woods. "It would fall comfortably within the budget costs of 90 seconds of any sort of high-quality fully CGI TV spot." He declined to give a specific figure, but a production executive put the price of a 90-second CGI spot at $1 million to $2 million. Several agencies Ad Age contacted reported that they're working on VR projects but aren't at liberty to discuss details. Venables Bell, for example, is working on a sports-related project for a client in which putting on Oculus goggles would place the viewer on a playing field in an athlete's world. Other brand VR work includes an experience developed by AKQA London that let attendees at last year's Tokyo Motor Show and January's Detroit Auto Show configure a Nissan IDx concept car. 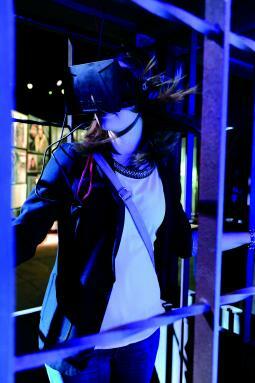 Visitors donned Oculus goggles and navigated virtual landscapes, where they had to make decisions. 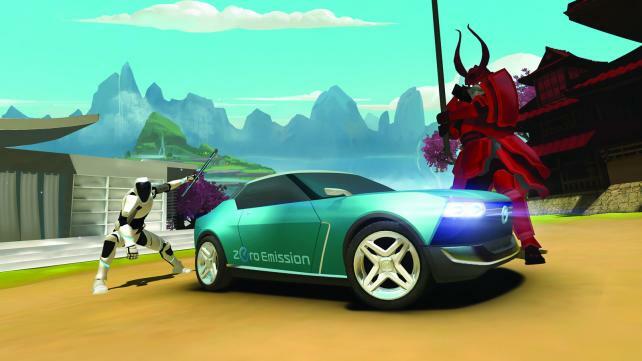 Choosing whether they were ninja or samurai, for example, would determine what kind of engines their cars would have. When David Sackman first experienced the unnerving virtual pit in which participants walk across that thin plank at Stanford's Virtual Human Interaction Lab, he became fascinated by the technology and the sensations it can produce. "Your rational mind cannot take over," said Mr. Sackman, CEO of the market research firm Lieberman Research Worldwide. "Your non-conscious is engaged." He started visiting the lab about a year and a half ago and tried out some of the lab's social experiments designed to affect human behavior. For example, cutting down a redwood tree in a virtual forest would cause birds to fly away and the woods to become silent. After that experience, people might use fewer paper towels when cleaning up a spill. From there, a business idea started to germinate. Mr. Sackman now has an "applied VR" division dedicated to working with brands on VR solutions. It's already done a project for Travelers Insurance to develop a workers' safety product. In that experience, rendered by VR software company WorldViz, the viewer flies around a warehouse and saves five co-workers from various injury possibilities, such as getting run over by a forklift. The idea is that workers who go through the experience will be inclined to take more precautions in the real world. Mr. Sackman said there are currently 10 to 12 large companies taking serious interest at a C-suite level in the VR division. One is a credit-card company looking to build a VR product to help people learn to use credit more responsibly. For now, the projects are constrained to venues where companies can make VR headsets available; they're not targeting homes. Obviously in a year or two when Sony and Samsung and Oculus release goggles for home use at $200 to $300 each, and they can be used with the 30 or 40 million home-gaming systems, then it gives you a broader array of applications," Mr. Sackman said, noting that it's probably a six-figure commitment to build a VR product with Lieberman right now. "But we're confining ourselves to things that are doable today." The business model is still being worked out. Lieberman is barred from selling the workplace safety product to Travelers' competitors, but may sell it to companies with manufacturing facilities or factories. In some cases, the intellectual property will be proprietary to the client, but where there's a broader commercial application, it may be sold to a wider market, with the corporate partner getting a share of the revenue. Mr. Sackman said Lieberman is having conversations with Silicon Valley venture-capital firms, though the company hadn't been looking to raise money. "Our belief is, in a couple of years, we'll certainly spin it out into a separate company," he said. The VR ecosystem—including companies focused on display, like Oculus, and startups developing motion-sensing and content-creation technologies—is growing as venture-capital money flows in that direction. Oculus VR, for example, raised $75 million a few months before Facebook bought it. Some are already thinking about how marketing could become a part of their business, even if it's not their core focus. Take Survios, a Los-Angeles based company with a full-motion VR prototype that includes a head-mounted display and tracking for the entire body. 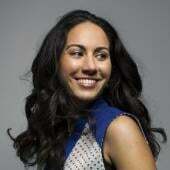 It recently raised a $4 million round and intends to bring a product to market next year. While Survios' focus is on games and the physical dynamics of game play, co-founder James Iliff already sees marketing applications in it—even with a zombie game. "All that software and design work focused on making your hand look like it naturally wraps around a gun and being able to pick up objects with two hands—that nuance can be applied to a vacation simulator where you're on a beach and want to pick up a seashell," he said. One can easily imagine that scenario for Norwegian Cruise Lines' "The sea is calling" campaign, which shows people in TV ads picking up shells to hear the voice of the sea in them. Mr. Iliff said brands have approached Survios, but it has declined those contracts because it does not have capacity for short-term projects. Then there's Palo Alto-based Jaunt, which is aiming its 360-degree camera and the software that goes with it at content creators in Hollywood and elsewhere. The company recently raised $6.8 million from investors including U.K. media conglomerate British Sky Broadcasting, which Jaunt is already in production. Jaunt's demo reel—seen via Oculus goggles—runs the gamut of uses for live-action VR. A viewer sits in the San Diego backyard of Megadeth guitarist Dave Mustaine and listens to him play; stands on a promontory overlooking the Golden Gate Bridge; and finds herself in the middle of a horror film, below decks on a ship, where she hears screams and catches glimpses of a squid-like creature at the end of a corridor. Scott Broock, the company's VP-content, said he met with various CMOs in Cannes last month and showed them the demo with the idea of seeding their imaginations for future marketing programs. He said he believes the future of VR for marketing will be in thrilling branded experiences—think Ken Block's "Gymkhana" viral videos where the name of sponsor DC Shoes barely appears—and behind-the-scenes access. One of Jaunt's content partners is already thinking about VR as a marketing tool. New Deal Studios is making a feature film scheduled for release next year, and it's shooting a few extra segments with a Jaunt camera. The idea is to build excitement around the release of the film among tech's early adopters who are likely to have VR headsets starting next year. "You have a long production process on a feature film," said New Deal Studios CEO Shannon Gans. "But when you're creating virtual reality, you can give people an experience and a community." Ultimately, the best applications of VR in entertainment and marketing are probably still to be uncovered. 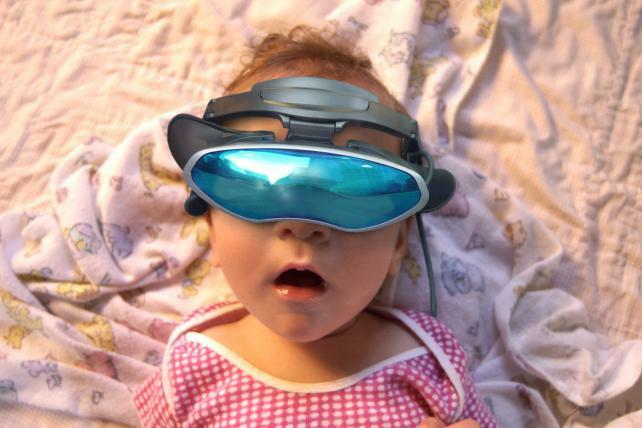 But futurists are already seeing the possibilities. "This is a completely new platform for art, gaming, storytelling and communication," said Mr. Milk. "I think what it has that's different than almost any other form of media and art is that it truly is immersive and gives you a sense of presence." CORRECTION: An earlier version of this story said Dario Raciti was director of gaming at Ignition Factory. He is director of OMD's Zero Code.